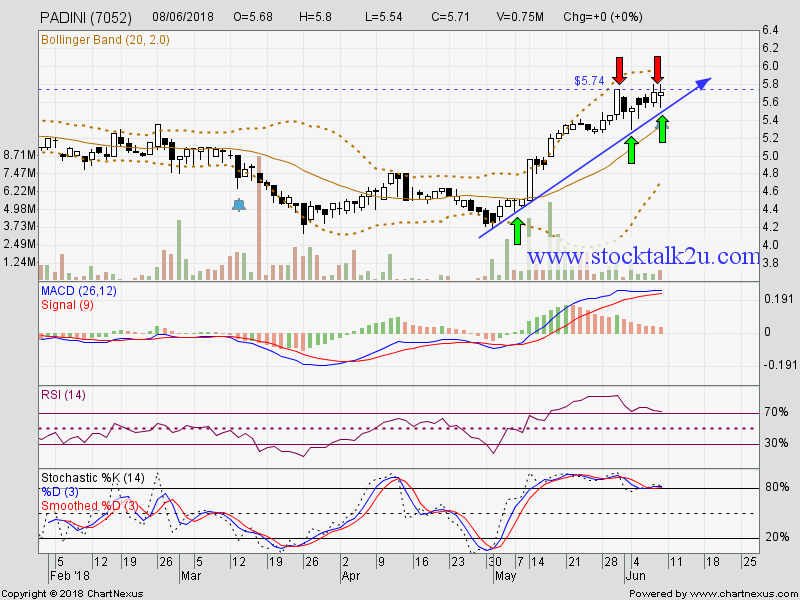 PADINI retest RM5.74 resistance level. Immediate resistance @ RM5.74 level. 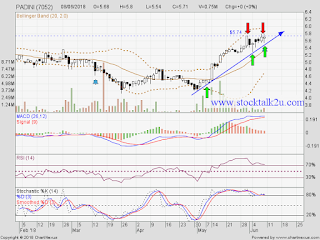 If breakout RM5.74 level, higher high is confirm. Uptrend will resume. Immediate support @ RM5.50 level. Subsequent support @ RM5.35 level.